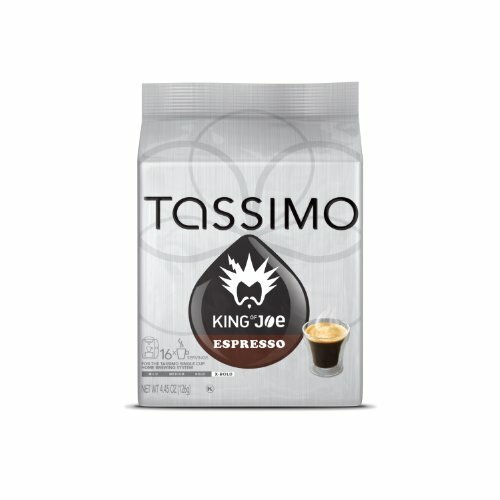 King of Joe Espresso T DISC, 16-Count for the TASSIMO Single Cup Brewer. T DISCs are solely made for TASSIMO brewers. At the touch of a button, TASSIMO’s INTELLIBREW technology reads the barcode on each T DISC to measure the proper sum of water, brew time and temperature for a excellent café-fashion beverage each and every time. 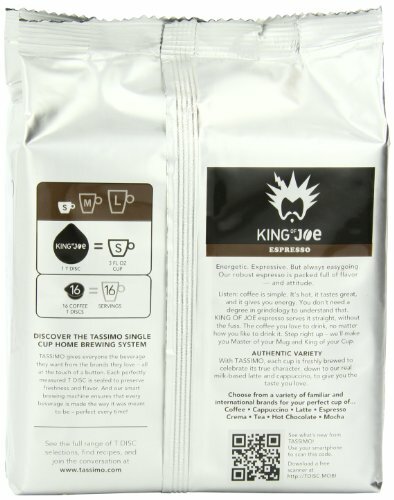 Each package includes 16 King of Joe Espresso T DISC, makes 16 servings. 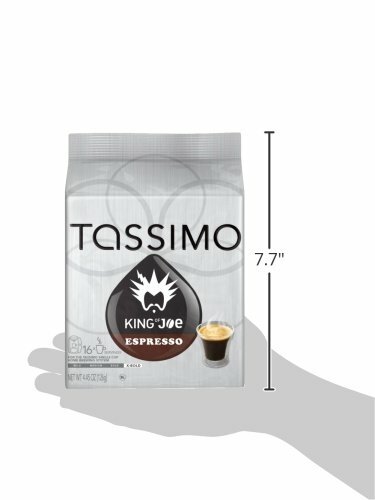 Dynamic, Dashing, Daring; Our dark roast will add some mystery to your day and keep you coming back for more.